← Art Game or Game Art? What do you think of when you hear the word – symphony? Try hiding your surprise without choking on an artichoke heart in a ballroom filled with hundreds of Grantmakers with arched eyebrows. 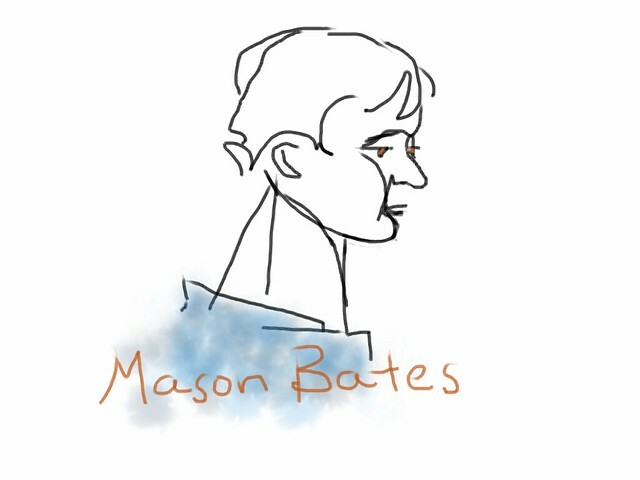 – and of course, it took the American composer of symphonic music, Mason Bates, to make musical sense of it all. And it took the San Francisco based Del Sol String Quartet to bring everything to life. We lucky Grantmakers were serenaded by Del Sol who performed Mason’s “Bagatelles”, a piece for strings and electronica. Mason spoke about the challenge of putting a string quartet in new spaces. The difficulties in acoustics, outreach, managing audience engagement and expectations. And at the same time, there is the intriguing possibilities in creating a “hybrid musical event” such as his Mercury Sol. Consider a traditional musical group, such as the Chicago Symphony or the San Francisco Symphony, who work on artistic programs and invest in large marketing campaigns to prepare audiences for what they are going to hear and shape their expectations. Now consider a newer musical group such as Mercury Sol, who work with stagecraft, lighting and technology to create immersive experiences for audiences and project program notes and somehow make the artist part of the audience. The sounds of a string quartet playing slowly drifts into a new space, gradually there is a change in perception, a light projection draws everyone to a point of focus. There you have it. Crowd Management in the key of C.
Do you want to know the fears, visions of perfect worlds and world changing advice of your peers and keynote speakers? I have a special bonus post for you of interviews I conducted with people during the conference. Just leave me a comment with your email or better still, subscribe at www.hoongyee.com and get my interview post and new style notes for people who change the world delivered to your inbox.